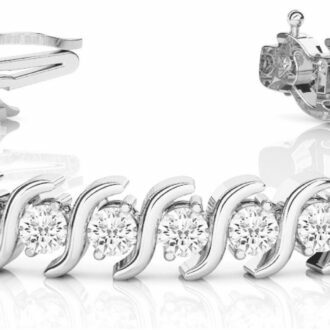 Vintage Jewelry continues to be an important element in fashion statement jewelry as well as bridal jewelry. You’ve probably noticed your friends and family searching for the perfect vintage engagement or the cocktail ring guaranteed to garner comments. The bride-to-be may have wear high-waist jeans while her man sports facial hair or high-top sneakers. It’s no secret: trends come and go, then return to center stage. It is no different with Vintage Jewelry. What’t the Hype About Vintage Jewelry? People have and will always look to the past to create meaning in the present. Nostalgia takes us back, while also propelling us forward. And there’s no denying that Millennials have a pronounced fascination with all things vintage, epecially Vintage Jewelry. Perhaps it’s because the younger crowd yearns for context and compelling back-stories with every purchase. Or maybe it’s this age of digital technology overload that makes vintage a stable refuge from contemporary, fleeting fads. The history and allure of vintage-inspired jewelry fit perfectly into our culture where niche is the new norm. Plumb the Vintage Jewelry depths using tools like Pinterest or Instagram. Subtle nods to classic vintage styles may not be enough anymore. Be prepared to dive deeper into rich and interesting, even odd, jewelry customs of yesteryear. 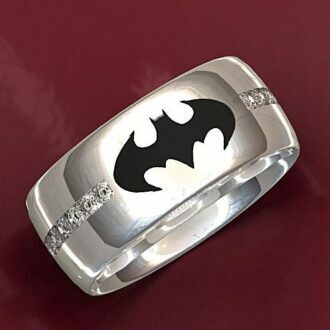 Remember how two-stone rings are suddenly all the rage? It’s no coincidence; this distinct design has evolved from a centuries-old style. As artisans, we can incorporate looks from the past to create meaningful custom jewelry creations, bedazzling patrons of all ages. I continue to create vintage-inspired jewelry like these beautiful engagement rings. I take the most classic styles and add feminine, romantic details through metalwork and diamond accents to create timeless, lasting looks. 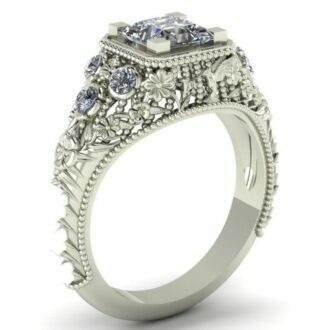 If you opt for a simple engagement, I suggest a more ornate band as an elegant touch to your ring finger.